Miro Consulting specializes in software license audit defense, license management, subscription management, and cloud services, for Oracle, Microsoft & IBM. Miro is conducting a survey with thousands of organizational leaders in the public, private and governmental sectors regarding their use of cloud technologies and cloud strategies. As in industry leader, we greatly value your knowledge and expertise regarding the use of cloud technologies and cloud strategies. Having a data recovery strategy in place is critical to ensuring business continuity in the event of an outage or disaster. When developing a data recovery strategy, it is essential to take into consideration the different licensing rules when deploying backups, failover (active/passive), and high-availability (active/active) scenarios. Many of our customers remain confused regarding the licensing requirements for Oracle data recovery environments. As a result, this could cause the organization to be out-of-compliance and fail an audit. Therefore, it is important to understand these differences as there are specific occasions when Oracle licensed customers do not have to purchase licenses for every server/node. Oracle customer copies/stores a nightly backup copy of the production database data to the test/development server not knowing that from an Oracle licensing perspective, this would be interpreted as a standby configuration and therefore the licensing metric (including options and management packs) for this server must match the associated production server. Oracle customer believes that the testing and validation of database backups is unlimited and has no restrictions; however, from an Oracle licensing perspective, customers are allowed to restore the database to an unlicensed server (for the purpose of testing the physical copies of the backups) up to four times, not exceeding two days per test, in a given calendar year. Oracle customer has an accepted failover configuration and brings down the production server once a month for maintenance not knowing that from an Oracle licensing perspective, downtime for maintenance purposes counts towards the ten-day policy for failover and therefore must be fully licensed. Oracle customer has different licensing metrics applied to their standby server than their corresponding production server; however, in terms of licensing, Oracle requires that customers apply the same metric to both production and standby servers (including options and management packs). Oracle customer copies/stores a backup copy of the database data on a disk array that also includes Oracle binaries, which has access to the same data; however, from an Oracle licensing perspective, this would be interpreted as a standby configuration and therefore must be fully licensed. Additionally, the licensing metric (including options and management packs) for this server must match the associated production server. Oracle customer configures what they believe is a “failover” environment based on the vendor’s technical whitepaper; however, the term “failover” is a general industry term that is often used to describe a solution that is considered a standby configuration according to Oracle Data Recovery Methods. Oracle customer believes that one of the servers/nodes in a Real Application Clusters (RAC) configuration can be considered as failover (active/passive) server/node; however, from an Oracle licensing perspective, an Oracle RAC environment is considered high-availability (active/active) and therefore all servers/nodes must be licensed. Oracle customer has a failover configuration with multiple failover servers accessing a single storage array; however, from an Oracle licensing perspective, only one failover server in the cluster can be unlicensed. Oracle customer has a failover configuration with two servers accessing different storage arrays; however, from an Oracle licensing perspective, this would be considered a remote mirroring configuration and therefore both servers must be fully licensed. 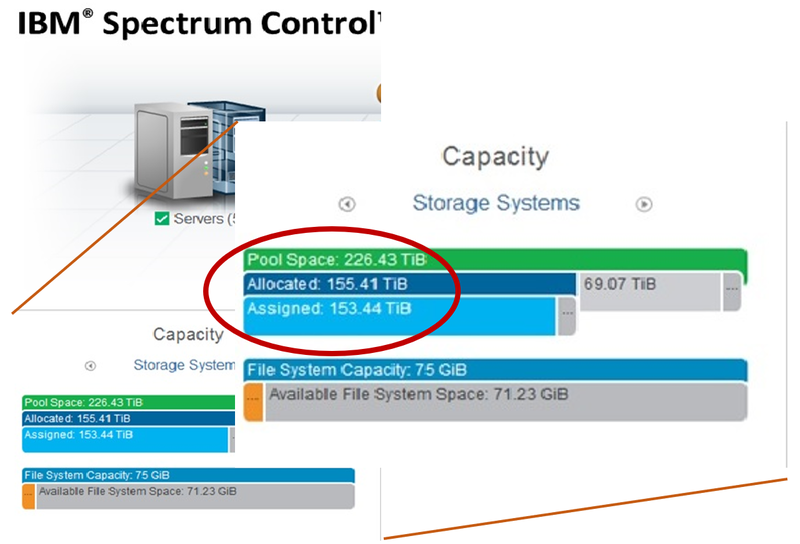 Additionally, the same licensing metric (including options and management packs) must be applied to both servers. Oracle customer believes that since Data Guard is included with Oracle Database Enterprise Edition, the standby server does not need to be licensed; however, from an Oracle licensing perspective, any Data Guard scenario would be interpreted as a standby configuration and therefore must be fully licensed. Additionally, the licensing metric (including options and management packs) for this server must match the associated production server. In this type of data recovery, Oracle permits customers to store a backup copy of the database data on storage devices (tape, disk, cloud) without the purchase of additional licenses. 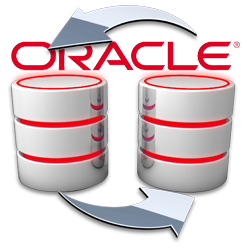 In the event of a failure, the backup files can be used to reconstruct the Oracle database. Oracle permits a licensed customer, for the purpose of testing physical copies of backups, to restore the database to an unlicensed server up to four times, not exceeding two days per test, in a given calendar year. When testing is complete, the restored database must be removed from the unlicensed server; otherwise, the server must be licensed. In this type of data recovery, servers/nodes are configured in a cluster and are connected to a single disk array. The production server/node acts as a primary node. 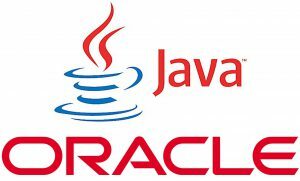 The Oracle database software is installed on both the production and failover server(s)/node(s); however, the database is installed on the shared disk array. In the event of a failure, the clustering software will switch control from the primary server/node disk subsystem to the secondary (failover) server/node. From an Oracle licensing perspective, failover applies to an active/passive clustered environment where only the primary (production) server/node is actively running Oracle software and the failover server/node is effectively idle (not running) and will only be used in the event that a failure occurs or maintenance is required. Therefore, Oracle permits a licensed customer to run a failover server/node without any additional licenses on the condition that the failover period does not exceed a maximum of ten days in a given calendar year. This failover period also includes downtime for maintenance. Once the failover/maintenance period has exceeded ten days, the failover server/node must be licensed. Oracle only permits one failover server/node per cluster. Therefore, if additional servers/nodes are configured as failover, those servers/nodes must be licensed. When licensing this type of scenario, the same license metric must be applied to both production and failover servers/nodes. In this type of data recovery, the Oracle database software and the database are installed on both the production and standby/data recovery servers, which are usually located in different geographic locations. The data at the standby/data recovery server is kept in sync with production through some form of data replication, mirroring, or copying. In the event of a failure or disaster, the standby/data recovery server can be activated as the primary with little or no disruption or data loss. From an Oracle licensing perspective, both the production and standby/data recovery servers must be fully licensed. This rule also applies when Oracle software can access the data that is located on separate servers, sites, or storage devices. With a high-availability (Active/Active) configuration, the ten-day policy does not apply. When licensing this type of scenario, the same license metric must be applied to both production and standby/data recovery servers. In general, all Oracle installations must be licensed; however, there are a few exceptions. It is important to understand these licensing rules and exceptions to avoid costly non-compliance penalties. Please contact your trusted Miro Analyst or Miro Account Manager if you are considering or have a data recovery strategy in place. Miro can assist your organization with assessing all of the risks and opportunities to maximize your software investment while ensuring a fully compliant environment. Microsoft keeps a lot of secrets from its clients. They can cost companies hundreds of thousands of dollars in compliance penalties and wasted expenditures. They can also cost you your job. Microsoft Enterprise Agreements typically include an “Azure Monetary Commitment” fee. This is Microsoft charging you for using their cloud, even if you didn’t want it or ever use it. Not only do Microsoft reps usually not explain what this fee is, they use it to make your discount seem larger than it really is. Miro can help you calculate what your real discount, and help you understand how to actually get use out of the fees you’ve already paid. To be a Microsoft Partner, you have to sign a contract saying you’ll report all out-of-compliance issues about your clients back to Microsoft. This is why it’s critically important to get independent advice on your Microsoft situation, and not rely on your Microsoft partner to evaluate your compliance position. Many Microsoft clients are shocked to find out that if you’re more than 5% out of compliance, Microsoft can charge you the retail price for the products included in the settlement. Depending on your current pricing – perhaps Level “D” under an Enterprise Agreement – this could amount to a serious outlay of cash. If you’re moving your Windows Server, Desktop or Office to the cloud, your networking bandwidth needs may increase substantially, often negating or, at least, seriously reducing any cost savings. Miro has seen Clients whose bandwidth needs have risen nearly a million dollars just from the incremental extra data going back and forth to the cloud for simple every-day operations that were formerly local connections. And, depending on how critical this hosted service is deemed, redundant bandwidth might also be necessary. Office 365 comes with the option of installing a copy of the Office Suite on your local computer. While this local version will still function for a while after the online subscription is terminated, your organization won’t actually be licensed to use it. If you do, it’s just like using pirated software. Of course, Microsoft’s products won’t give you any warning of it happening. If you’re planned cost savings when moving to the cloud include the salaries of your database administrators, you’ll probably be disappointed. Database administrators will still be needed for the planning, migration and long-term management. Microsoft may promise to handle those needs for you, but they have little incentive to provide the highest level of service, and they won’t be familiar with your systems and data like your current team. You may need more network administrators as well, to deal with the extra bandwidth the cloud requires. You’ll definitely still need someone to manage your vendor relationship with Microsoft, preferably someone who understands the technical details of every day usage. You really should, or should not have Software Assurance, depending on the product. For some products, you need Software Assurance to be on the “Long-Term Service Branch”. With other products, you can NOT be on the “Long-Term Service Branch” if you have Software Assurance. Miro can help you understand when you want it, when you don’t, and why. You may get an email from Microsoft demanding information on your licensing, with warnings that you are not legally allowed to ignore the request. Even though they come from a @microsoft.com email address, they are not actually from Microsoft, and you should probably ignore them. There are unscrupulous Microsoft partners who will mass spam emails to company IT and Executive teams, demanding licensing info. They will almost always find that you are out of compliance, and need to purchase additional licensing from them. The good news is that you can probably safely ignore them, but if you send the information, it’s too late. Check out our recent blog post to see what the scam emails look like, and how to tell a real Microsoft LLC audit from a scam partner audit. Want to learn more about Microsoft licensing and how to prevent and deal with a real Microsoft Audit? Download our Microsoft Licensing Guide or our Microsoft Audit Guide, both free, to get all the information you’ll need. Contact Miro to speak with an analyst about your specific situation. Miro is fully independent of Microsoft and does not share any information with them. Any mention of virtualization causes many people to immediately think of VMware, as they remain to be a main player among virtualization technologies. The challenge of keeping up with Oracle’s evolving licensing requirements of virtualization platforms can be a daunting endeavor for many IT departments and Oracle database administrators. Any technological advancement made by VMware, specifically relating to any abilities to easily move server sessions around the virtualized environment, prompts a new possible interpretation of licensing requirements by Oracle on the popular platform. We refer to the requirement updates as “changes of interpretation” since Oracle’s documented policy guidelines have never actually changed. Oracle’s “Hard Partitioning Policy” simply indicates that VMware is considered by Oracle to be soft-partitioning and does not consider any of its features capable of satisfactorily limiting software licensing through resource partitioning. Oracle’s concerns stem from any possibility for a client to inadvertently and rapidly expand the use of Oracle software without proper licensing. As VMware’s features have developed into enabling greater flexibility in redistributing computing resources, Oracle’s continually evolving licensing requirements have adapted. IT departments should carefully plan the use of Oracle software within their VMware environments. Oracle can be just as harsh in licensing their software within other virtualized environments, including their own virtualization products. Oracle VM Server for x86 is based-on and incorporates the open-source Xen hypervisor technology. Oracle recognizes the feature of the virtualization platform which enables the pinning of CPU’s to virtual machines. This enables OVM to be used to partition the processing resources of a server, which Oracle considers to be hard-partitioning. However, should you activate live migration capabilities within a pool of these servers then the accepted hard-partitioning scenario described above is invalidated, and all physical processors are required to be licensed. This would give it the same challenge as experienced with VMware. IBM Power servers that have LPAR technology, which is recognized by Oracle for the hard-partitioning of server resources, will face the same dilemma. Once those servers are tied together through the use of IBM Live Partition Mobility features, the use of LPAR technology for hard-partitioning is invalidated. Just because you utilize virtualization technology that Oracle does recognize as having hard-partitioning capabilities, you could be invalidating those features due to the way you are implementing the technology. Please contact Miro Consulting should you have any license compliance concerns regarding the way you are implementing your virtualization technology. The European Union (EU) General Data Protection Regulation (GDPR) is a new regulation that will go into effect on May 25, 2018. The GDPR introduces a legal accountability obligation for organizations and will require organizations to reassess current policies, procedures, and systems and increase the level of controls, processes, and protection around the personal data of EU individuals. Organizations must have a complete understanding of their data and have the ability to implement appropriate technical and organizational measures that ensure and demonstrate that data processing activities are in compliance with the requirements of the GDPR. As a result, organizations may be required to license additional software to comply with the data protection requirements of the GDPR. Under GDPR, data protection requirements can be broken down to three main categories that include assessment, preventive, and detective controls. Many software vendors such as Oracle offer security products to help address the GDPR’s assessment, preventive, and detective compliance requirements. Assessment Controls – Article 35 of the GDPR mandates that organizations are to perform risk assessments to help identify vulnerabilities and lessen the possibility of security breaches. Organizations are also required to indicate how data privacy will be addressed. Organizations need to know where the personal data exists, who has access and what privileges, identify possible vulnerabilities, and determine the likelihood of potential threats and the impact to the organization. Software vendors such as Oracle offer tools to assess the current state of data security. For example, Oracle Application Data Modeling can be used to discover personal data, Oracle Enterprise Manager’s Database Lifecycle Management Pack can be used to scan database configurations, and Oracle Database Vault Privilege Analysis can be used to analyze roles and privileges. Preventive Controls – Article 32 of the GDPR mandates that organizations implement appropriate technical and organizational measures to ensure a level of security appropriate to the risk. Therefore, once the risks are identified, policies, procedures, and controls must be put into place to prevent and deter unauthorized access and misuse of personal data. Unauthorized access can occur internally and externally; therefore, appropriate controls such as encryption, pseudonymization, and anonymization should put in place. Software vendors such as Oracle offer tools to protect sensitive data at the source. For example, Transparent Data Encryption can be used to encrypt data in production applications, Data Redaction can be used to pseudonymize data in production applications, and Oracle Data Masking and Subsetting can be used to mask or anonymize the data in non-production applications and be used to subset the data either by deleting or extracting the data to a different location. Detective Controls – Article 30 of the GDPR mandates that organizations maintain an audit record of processing activities on the personal data. The audit data can then be used to help detect potential security breaches, unauthorized activity, and misuse of personal data and be used to timely notify authorities in case of a breach. Article 33 of the GDPR mandates that organizations report personal data security breaches within 72 hours of becoming aware of a breach to the designated GDPR supervisory authority. If the security breach is likely to result in a high risk of adversely affecting the rights and freedoms of individuals, organizations must also inform those individuals affected by the breach. Software vendors such as Oracle offer tools to monitor suspicious activity. For example, Oracle Database Auditing can be used to enable and maintain audit records of processing and Oracle Fine-Grained Auditing can be used to record and audit specific activities of users. The GDPR was approved by the European Parliament on April 14, 2016 and replaces the 1995 Data Protection Directive (95/46/EC). The aim of the GDPR is to give EU individuals more control over their personal data and to simplify the regulatory environment for organizations by unifying the data protection law across all 28 European Union (EU) member states. The GDPR defines personal data as any information, either directly or indirectly, that can be used to identify an individual. An identifier can be name, identification number, location data, online identifier, or one or more factors specific to the physical, physiological, genetic, mental, economic, cultural or social identity of that individual. The GDPR will apply to any organization that creates, stores, or processes personal data of EU individuals, regardless of whether the organization is located in the EU and regardless of where the data is created, stored, or processed. The GDPR will apply to data controllers and data processors and holds both liable for breaches or non-compliance; therefore, if personal data is hosted in the cloud or shared with vendors or contractors, the organization (data controller) and the third-party (data processor) are liable for penalties. Organizations in breach of the GDPR may be liable for penalties. The GDPR has a tiered approach to penalties depending on the nature of the violation. For example, organizations may be fined up to 2% of total global annual turnover or €10 million (whichever is greater) for not having their records in order, or not conducting a risk assessment, or not notifying supervisory authorities when a security breach occurs, or not notifying individuals affected by the breach. Organizations with more serious consequences may be fined up to 4% of total global annual turnover or €20 million (whichever is greater). The GDPR will give back control to EU individuals over their personal data, which includes the right to access, right to be forgotten, and right to portability. Right to Access – Organizations will be required to request consent from individuals and consent must be provided in an intelligible and easily accessible form. The GDPR will give individuals the right to obtain confirmation from the data controller as to whether or not their personal data is being processed, where the data is being processed, and for what purpose. Individuals will be entitled to a copy of their personal data, free of charge, in an electronic format. Right to be Forgotten – The GDPR will give individuals the right to withdraw. Once consent is withdrawn, individuals also have the right to direct the data controller to erase and not use their personal data for data processing. Right to Portability – The GDPR will give individuals the right to portability, which means that individuals may transfer their personal data between organizations more easily. Organizations that process large amounts of personal data will be required to designate a data protection officer. This position may be performed by either an employee of the data controller or processor or can be outsourced to a third party. Data protection officers will be required to have knowledge and expertise in data protection law and practices. Data protection officers will be responsible for overseeing the GDRP data protection strategy, implementation, and compliance. Responsibilities also include training and conducting internal audits and address potential vulnerabilities. The data protection officer also serves as the point of contact between the organization and the designated GDPR supervisory authority. The data protector officer is also available for inquires and requests by individuals pertaining to their data privacy. The GDPR introduces a legal obligation for organizations that promotes accountability, transparency, and trust. The GDPR will require organizations to increase the level of controls, processes, and protection around the personal data of EU individuals. As a result, organizations may be required to license additional software to address the assessment, preventive, and detective compliance requirements of the GDPR. Organizations face strict penalties for not complying with the new standards set by the GDPR once the regulation goes into effect on May 25, 2018. For questions and further assistance, please contact your trusted Miro Analyst or Miro Account Manager to provide guidance on GDPR governance, risk, and compliance.